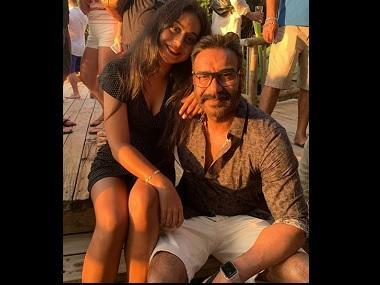 Kolkata: Ajay Devgn, who is back as a tough cop with Singham Returns, has said that his character Bajirao Singham is nothing less than a superhero. "He is like a real superhero. Our culture is such that we don't need a lot of back up to become superheros. The character is already larger than life," Devgn told PTI in an interview during a visit to the city. He was asked to compare his character Singham, who fights against evil forces in his own fiery style, with other superheroes like Superman and Spiderman. "Singham is more real than them. Now in the sequel the challenge is bigger," the 45-year-old actor said adding that, in the sequel to the 2011 blockbuster, they have kept everything new except the lead character. "It has got more drama, action, romance and humour. The stunts are also bigger and better," the actor said. Interestingly, Devgn, who describes himself as a spontaneous actor, went to act in the sequel without any preparation. "I didn't research at all because I was following the characteristics of one man and how would he react under a given situation. When that situation changes, everything else changes. But his style of working is the same," he said. He said he personally believed in the working style of Singham. "People have the same anger against corruption which was there in 2011 when Singham came," Devgn said. However, Singham Returns is not a message-oriented film. "It is a completely commercial film and not a message oriented one. There is a message if you can read it but it is a complete entertainer where there is a supercop tackling a super problem," he said. Besides a string of hit commercial releases, he has also made his mark in critically-acclaimed films like Rituparno Ghosh's Raincoat and Mahesh Bhatt directed Zakhm. "I love to do films like Raincoat. I have not heard a great script like that since then. I am not enjoying the scripts I am listening to. I am open to doing every kind of cinema but it should fascinate me just like Zakhm did," he said.